Hey guys, anyone has any information about these 2 games I am looking for about 5 years now ??? So there is this old PC RPG I had played as a kid, I think back in 2004 or 2005. It was a game in which you started in a gladiatorial pit, and when you kill the enemies there, you get a pair of boots and a sword IIRC. Then you get out of the pit and out into the world where you can hire companions to follow you and help you in your quests. It follows classic RPG elements such as levelling up and acquiring more advanced armor and weapons as you go along. The main's character's name was just Gladiator, and he was a muscular guy with red hair and a braid I think, and you could swap into a female player as well. When you get out of the pit, the camera angle was at a bird's eye perpective and you could zoom in or out. I'm pretty sure it had 3D graphics. I don't remember much more. Hope you guys could find it, it will evoke a lot of positive memories! Yes that's it! Thank you so much! hi, I have been looking for this game for many years, I think it was on the PlayStation 2 or other such consoles at that time, you built space ships like putting hangers or scanners, ammo racks, weapons, all such things, the combat map was real time, the ships moved In a line and the combat took place Above land, when you attacked someone it would go in to a tactical cam, with the ground moving under the ships, and you only had so much of a budget to work with, I cant remember of this was a side mode or the main game. I will try to think of more things. can some one help me, I have been trying to find it for years. the first game is a PC (surely) game, you have to drive an aircraft, a bit like wipeout, but i remembered that the aircraft could fly. The main mechanic of this game is to get balloon to get faster. I remember a bit that we could use weapon, and there are areas where aircrafts have to shoot themselves and not linear tracks, more like deathmatch. THe second game is a psx (i guess) game. It's more complicated to describe him. It's a ugly fps game. Where you have a green hud. You don't see your weapon. The map is kinda flat and it was outdoor. I remember enemies looking like aliens. And i remember there was powerups for your weapon to get. Maybe either Krazy Ivan or Forsaken? So, can't remember a game, it was some sort of action/shooter based. No close known timeframes but I used to play it on a WinXP machine around 2009 perhaps? +/- couple of years, likely older. After a couple of clicks through the main menus (red-black themed, some pictures and an intro/cutscene I think) you show up as an armored person/soldier in some sort of a valley surrounded with another few soldiers, each having a different set of weapons I think. You could individually control each unit. The main theme color of the game overall was red, like red-orange-yellow(?) and any shades around those, it was literally all red-shaded. From the grounds and grass up to the skies as well, except soldier units, those were black and structures(?) those were more grayish. The surroundings were kind of like steppes, low steppe-like grass, lots of tiny hills and valleys covered in grass and some larger mountains in the horizont, felt like a desert. Moving some further you'd encounter some enemy units and some flags waving around, or was it some poles? Can't recall, but it definitely was something alike. Eventually you'd end up finding some kind of conctrete/metal structure/bridge(?) up on a huge hill and few trees around which were similar to those of GTA SA, huge&high, they were also scattered around the fields but nothing in large amounts. This is the further I came and that's all I get to remember, guess there was some mission to be done but as a kid back then and with lack of english knowledge, it wasn't something I went after and likely the reason I can't remember what it was about, it's mostly visual memories. Anyone got a clue what I'm talking about? Hello, i am looking for a game i played around 11 years ago, from what i remember it had cartoony graphics, and you would play with a spotted dog and i think what was a mole. If i remember correctly the game had a mechanic where you could swap between the 2 characters, and you had to do alot of puzzles and progress through the story, the puzzles we're mostly 2D, either side-scrolling or viewed from above. I remember something about a time machine at some point, and a puzzle where i had a car (more like a piece of wood) with 4 square wheels, and i had to finish a track with it(in some cave) without dying, but i searched enough before the race i could find 4 round wheels which would make the race alot easier. There was an old arcade game where you had to ride a stationary bike as the controls, and the game itself featured a kid riding his bicycle/glider through a course. I feel like the name was something like "Solitar" or "Zolitar", but for the life of me I can't remember. Hello, i am looking for a game where you were driving a tank using numpad (7 - left track forward, 4- left track beckward etc. ), shooting with space, longer you push - further bullet goes. z,x was moving tower. you were shooting to other vehicles, and from some of them you get loot. there was no natural world, only desert-like map where enemy was spawning randomly (single player). 3D game from 1999 - 2000. i had it default installed on my first PC in 2000. i often played it with my dad together on one tank, because you had to use many buttons at the same time. Hey everyone, I was hoping someone could help me out. I played a game on the PC back in the day, but can't remember the name of the game to save my life! You played as a mercenary type, and you either accepted or declined missions up in your spaceship. it was a FPS shooter, and you could drive a dune buggy looking vehicle with a machine gun on top, you could also get into 2 legged Mechs that had a machine gun or rocket launchers, or there was what I liked to call the "scout vehicle" which looked like a hover bike. The first mission you follow a guy and he betrays you at the end. Near the end of the game you can also choose who to help out (Mining colony, or 2 other factions I believe). Any clue what the name of this game might be? Yep, that's Techland's "Chrome" (2003). I don't know what happened, but it's no longer directly available via Steam. You are awesome!!! thank you so much! shame that it's no longer on steam though, that's weird. 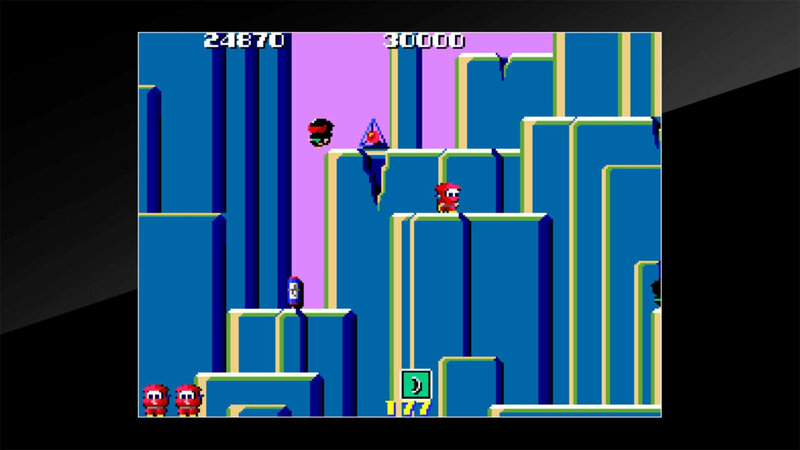 In one (maybe the first one) you climb up a mountain or something while fighting these dark ninjas, in the second one you are inside a building with large floors. Rad Action (aka Ninja Taro)? That would be Wild Metal Country. Rockstar actually released the game as freeware under Rockstar Classics. no. f***ing. way. i love U man. i was looking for it 5 years. THANK YOU! Sounds like it could be Terminal Velocity. It's not that one. The game that i search is more recent. Hi, I played an old arcade game in the 90s which I dont know the name of. I remember you played a bard or guy with a flute who attacked mobs with the music notes or something like that. You can play as a bard on Gate of Doom (aka Dark Seal) and its sequel, Wizard Fire (aka Dark Seal II). Reposting this due to having no results.... I know there is not a lot of description but there must be some suggestions out there. So I can remember a pc game from I believe the late 90's. The few things I remember is that there are knights of all the main colours. The black knight being the final one hardest to kill. The only way to kill him is with a rune. You need to dodge blobs of green poison and jets of fire as you make your way up from the sewers to the top of a tower. Hello! Does anyone remember a game that was either late 1980's/early 1990's. It was similar to battletech or mechwarrior. But the game was more of a tournament style. You starting at the bottom of the ranking and worked your way up the rank winning money to buy better weapons and such for your mech. I remember you or the computer can set restrictions for a match, like no one could use missiles or lasers.... or no moving and what not. I never got to rank 1 when I was a kid. That game keeps coming back into my mind and would love to beat it.. if anyone knows I would much appreciate it. So I've tried searching but obviously there's 900+ pages and I can't search through so hopefully this hasn't been brought up before! A game I used to play about 11 years ago, my friend with an original Playstation lent it to me for a few weeks for my PS2 (praise be backwards compatibility). The main character was a fox I think? But I could be misremembering. DEFINITELY an animal though. I seem to remember him being a detective and going through portals for missions, and being a bit pervy - the women loved him. I've been struggling to remember much else but it was defo PS1 and I LOVED it, but nobody has ever heard of it when I mention it. Any help on this one would be appreciated as I fear it is quite an obscure niche game. From what i can remember the game is from the 90's , possibly on the Amiga or PC. It was endorsed by a rock or heavy metal band ( cant remember the name). The first part of the games I remember an overhead view of bands car on the road ( similar to badlands in graphics). where if i remember correctly it was like a board game where you throw dice and the car stops at different locations and you had to collect the instruments or band members. once this has been done you are taken to the final location which is an abandoned insane asylum and the game switches to first person mode in the style of a dungeon crawler. I don't remember portals, but I do know that officer Waffle (who was a dog) from Tail Concerto seemed to have every female character's attention. The only Playstation 1 game I remember that had a fox was Kingsley's Adventure, but Kingsley was a knight, and there were hardly any female characters that I remember. Not sure which game that is, but here is a list of games featuring famous musicians from MobyGames. This is an old PC Disc game which is very similar to TRINE. Hi guys, I'm looking for a game that I played when I was young. It was a side-scrolling CD game on PC platform in the year of 2000s may be(or 1995-2000), actually I don't know about the release date of it. Just because of the graphic design doesn't look like the quality made in 21st century. I've tried my best to remember most of the game details but I cant remember the name of it. Yeah its totally ridiculous that I remember lots of details besides the game name. The starting animation is talking about a man was locked in a tower in the sky, a mage(maybe?) casted magic to free him. Stage 2 - Floor 1 , I forgot what that thing is. **And this boss I think it is a main enemy of the game because my character need to talk to him before battle. Stage 8 - Below 4 , I reach to the middle only. There was a game I'm trying to remember where you were a girl and your parents owned a farm. It was simple at first, farm crops and fight off baddies with a shovel(? ), then it gets harder. I remember a main part of the story was that at some point, your parents get kidnapped by (I think) pirates, and you have to farm to make up enough money to free them (It was a CRAPLOAD of money, lots of grinding). Not sure, but I think that might've been the end of the game. Either that, or I just forgot what happened after. There were lots of upgrades you could buy (I think), and I remember one level where the monsters included freaking ghosts of all things. Also, the plants you farmed started getting really weird. Like, it started with just simple flowers and such, and eventually turns into made-up plants that were just really colorful and cool looking. I can't remember much more. I think there were upgrades you could buy as well? Hello, i'm looking for a game i played on windows 95-98, it was a platform sidescroller, very colourful pixel graphics, mostly nightime, adventure game, no big action kinda like puzzle, you walk around places and find some random items which are required to proceed in certain areas, remember using some kind of meat to bait the boar and a plank to cross water. This definitely sounds like a Tenchu game to me. Could be Tenchu: Fatal Shadows.